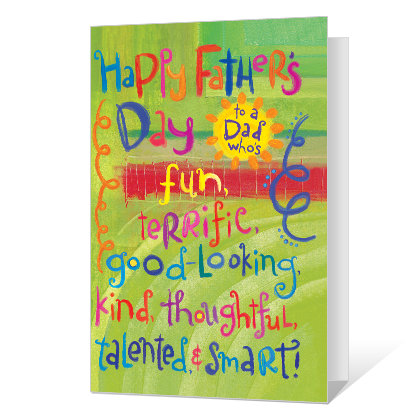 Cover Verse: Happy Father's Day to a dad who's fun, terrific, good-looking, kind, thoughtful, talented, & smart! Inside Verse: ...just like his kids! Love You!